There are several different types of vegetarian diets. Some vegetarians only consume foods from plants. Others consume plant foods, dairy products and eggs. Because vegetarian diets avoid meat, they tend to be lower in saturated fat than non-vegetarian diets. While several healthful high-fat foods have a place in a vegetarian diet, don't assume that just because something is vegetarian that it's healthy -- there are plenty of high-fat vegetarian foods with little nutritional value. Cheese comes loaded with fat, including saturated fat. Since most dietary sources of saturated fat are from meat sources, vegetarians can indulge in cheese without too much worry. However, cheesy dishes such as macaroni and cheese or quesadillas often contain more than a day’s worth of saturated fat and should be consumed sparsely if at all. If you consume a lot of dairy products, consider looking for low- or non-fat options. You might have heard that avocados are high in fat, but don’t be alarmed. Avocados contain heart-healthy, unsaturated fat. The American Heart Association notes that the majority of your daily fat intake should come from this type of fat. At 22 grams of unsaturated fat per cup, avocados make an excellent dietary choice for meeting these requirements. They are also a dietary source of several important nutrients, including fiber, vitamins A and C, calcium, iron and protein. So, yes, they're high in fat, but vegetarians and non-vegetarians alike can benefit from adding avocados to the diet. Nuts serve as excellent sources of fats in a vegetarian diet. The majority of their fat content comes from unsaturated fat, and some nuts -- such as walnuts -- also come packed with omega-3 fatty acids, a type of fat linked to cardiovascular health and improved brain function. Nuts also contain fiber to keep you feeling full, as well as essential nutrients including magnesium, vitamin E and folate. Not all sources of fat in a vegetarian diet offer nutritional value. 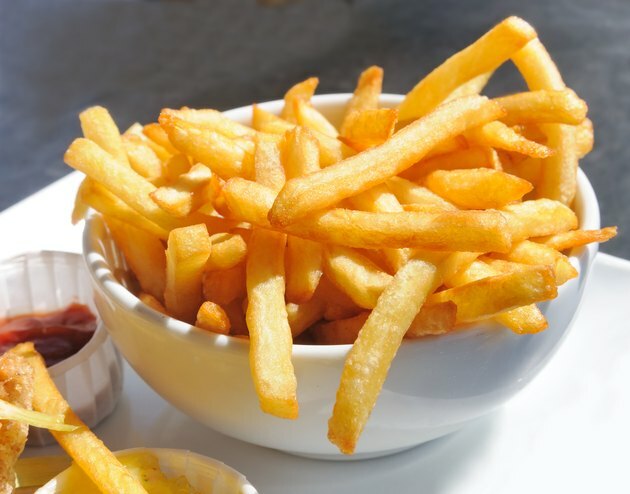 Several junk foods, including french fries, ice cream and baked goods fit into a vegetarian diet but come loaded with fat, including harmful trans fats, along with added sugar. Consume these foods in moderation and count them as "discretionary calories" -- calories not allocated to more healthful foods. The amount of discretionary calories allowed depends on the size of your diet, but someone following a standard 2,000-calorie diet can consume 265 discretionary calories daily, under USDA guidelines.